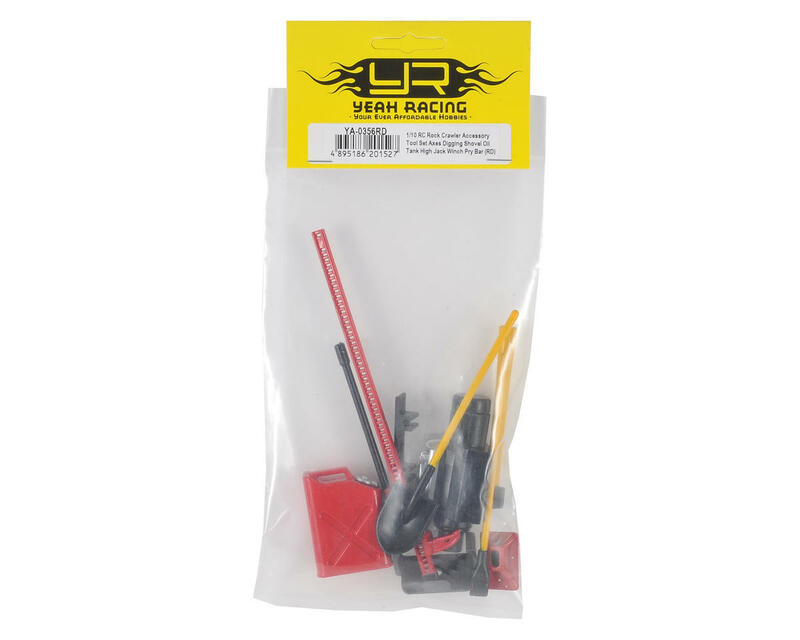 This Yeah Racing 1/10 Crawler Scale 6-Piece Accessory Tool Set includes six common crawler tools you can add to your rig for great scale looks. 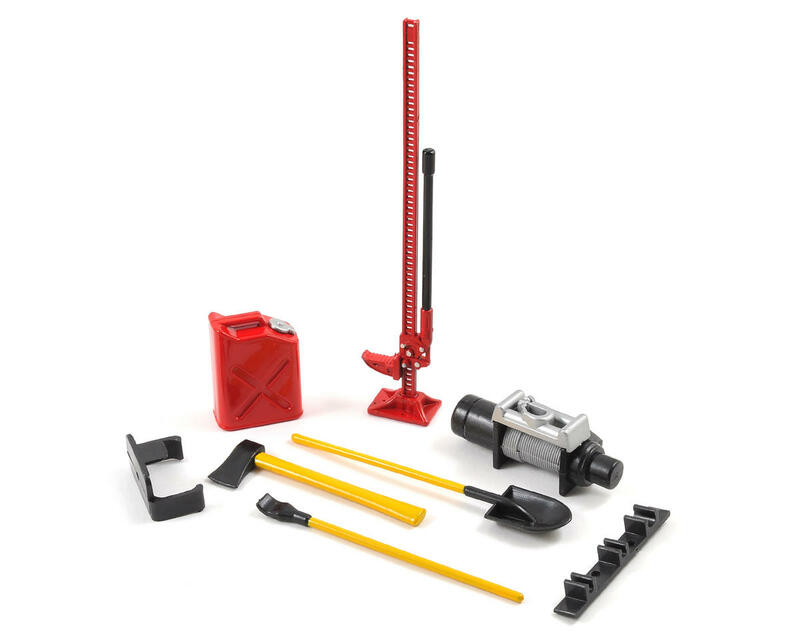 Tools included are an axe, shovel, oil/fuel tank, jack, pry bar and a non-functional winch. An oil tank mount is also included, and a three piece mount for the shovel, axle and pry bar. This 6-piece set is also available in green color (YEA-YA-0356GN).